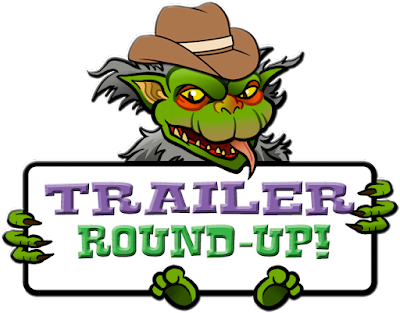 THE B-MOVIE NEWS VAULT: Trailer Round-Up: AMERICAN FABLE, COLOSSAL, THE DISCOVERY, LOGAN, POWER RANGERS, and PRIMAL RAGE! Trailer Round-Up: AMERICAN FABLE, COLOSSAL, THE DISCOVERY, LOGAN, POWER RANGERS, and PRIMAL RAGE! 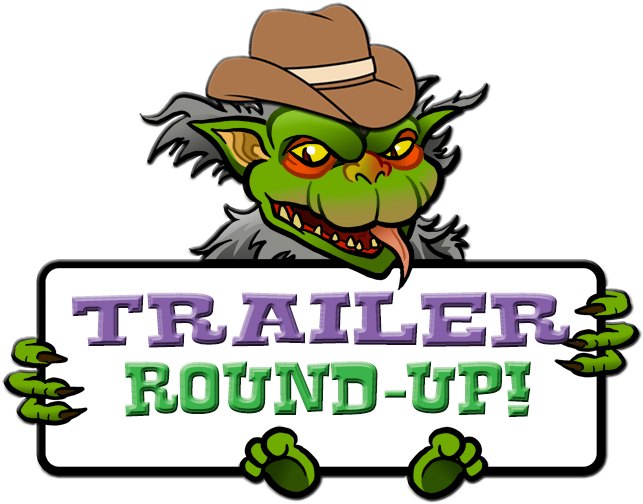 This week's edition of the B-Movie News Vault's Trailer Round-Up features six upcoming feature films hailing from a variety of genres. Creepy fairytales, giant monsters, superhero squads, creatures of legend, a journey into the afterlife, and Hugh Jackman's swan song as Wolverine await those of you who are brave enough to scroll down! This movie seems like it'd make a great companion piece to Gullermo del Toro's PAN'S LABYRINTH. An 11-year old girl named Gitty (Peyton Kennedy), discovers that her father is hiding a wealthy man in her family's silo, in an attempt to save their farm. Seems pretty straight-forward right? Well watch the trailer and you won't be so sure. Either all of the film's fantastical elements are in Gitty's mind (allowing her to cope with harsh realities), or something supernatural is going on! Check out the trailer and decide for yourself! I remember hearing about this movie last year when Toho threatened to sue the filmmakers for using Godzilla's likeness on COLOSSAL's promotional material. But apparently that has all been rectified, because this bizarro giant monster movie is coming to U.S. theaters in April! In the film, Anne Hathaway plays down-on-her luck Gloria, a woman that finds herself suffering through a chain of abusive relationships and alcoholism. Then one day, she awakens to news that a giant monster is attacking Seoul, South Korea! What's even weirder is that it seems to respond to any motions she is making! What does it all mean?! I'm not quite sure what to make of this film. I thought it was perhaps a time travel movie of some sort, but apparently it's not. THE DISCOVERY takes place in a world that has just discovered that "the afterlife" actually exists. I'm guessing that the film probably chronicles a group of scientists that try to break through the barrier into that other world, in order to be reunited with lost love ones. And then something more than likely goes horribly wrong! It looks interesting, and since I already have NetFlix, I'll definitely give it a shot! This is supposedly the final time we'll see Hugh Jackman portray Wolverine in a live-action Marvel film. Set in a bleak Dystopian future, Logan and Charles Xavier are dragged out of hiding when a young girl is being pursued by a group of militants. Said girl turns out to be a mutant with similar powers to Wolverine, who does his very best to reign in her feral nature, and protect her from "dark forces." It's an odd tonal shift for the character, but I have to say that I am definitely looking forward to it! When I first heard that Lionsgate was doing a gritty reboot of Saban's Mighty Morphin Power Rangers, I was dubious. But now here I am, faced with the reality that someone created a darker version of the goofy Americanized Japanese kid's show I grew up with. Five teens are endowed with special powers after discovering an alien ship. They then become The Power Rangers, and fight to protect the Earth (and Angel Grove of course) from the evil Rita Repulsa (Elizabeth Banks). I'm kind of torn on seeing this, but part of me knows that I'll be sitting in the theater on opening weekend because of nostalgia. That's all I've got for you this week Vault Dwellers! 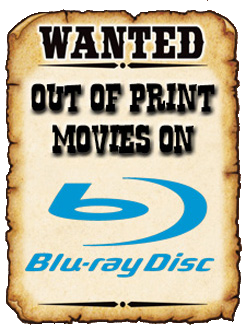 Check back again soon for more new Blu-ray release updates, trailers, and more here at The B-Movie News Vault!